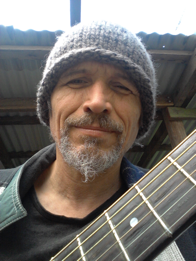 Joe O’Keeffe is a performer, composer and music educator based in the Northern Rivers Region. His music is inspired by diverse world music cultures, from the African continent to the Celtic Diaspora. With the aid of a loop pedal, various string instruments and percussion, he creates multi layered, earthy compositions. Joined by Benji Keogh on drums and Rod Evans on percussion, this trio play infectious and soulful grooves from around the world. Local country blues powerhouse Smokestack Lightnin’ are sure to get you up and dancing. Their high energy flavour of blues is enjoyed by fans across the globe. 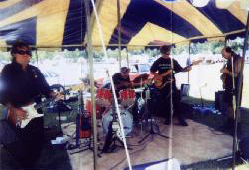 Formed in the early nineties and played the Byron bay pub scene with Timmy Burrell on percussion, Kev Newton on guitar and vocals, Mike Hunt on contra bass, Pete Segrave also on Guitar and Vocals. 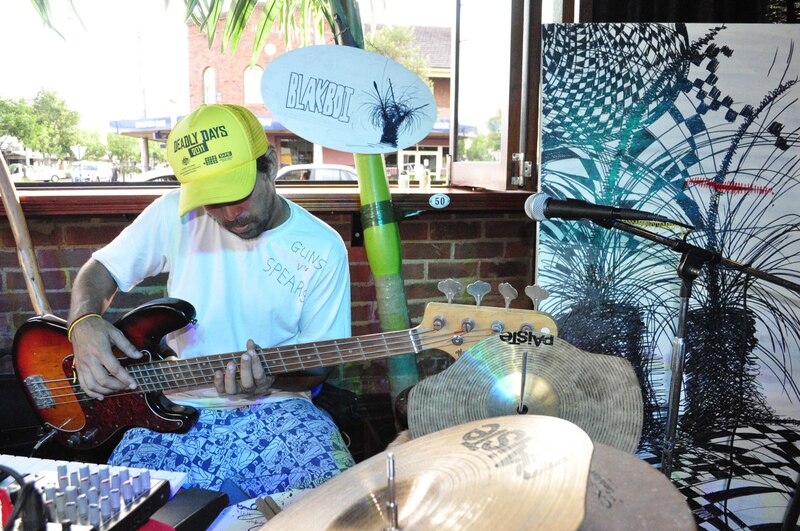 The band has performed at a number of blues festivals including Broadbeach and Nambour. All members are songwriters and arrangers and have airplay on radio in one hundred and twenty countries. Musical influences are sourced from Texas, Chicago, Louisiana and the fringes of jazz. It’s gonna rock cause that’s what they do! 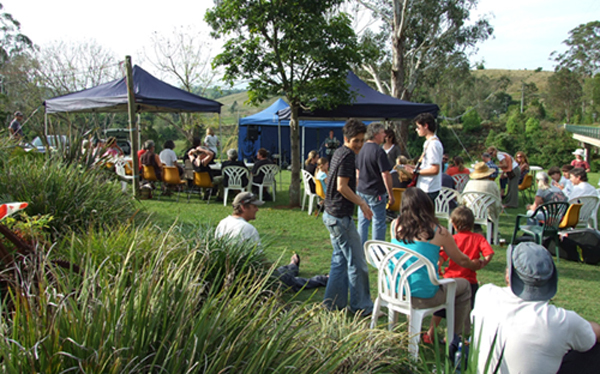 The Channon Open Mic first began at The Channon Butterfactory Tavern in April 2008 and was called The Channon Folk Club. In August 2014 the name was changed to The Channon Open Mic to more accurately reflect the musical diversity of the performances. The Open Mic runs from 2pm (to sunset) during the winter months and from 3pm during daylight saving. We usually set up on the lawn adjacent to the Tavern, however in the case of wet weather the shelter of the Tavern veranda is our fall-back. We welcome all performers and have hosted poets and acrobats as well as an eclectic array of musicians. 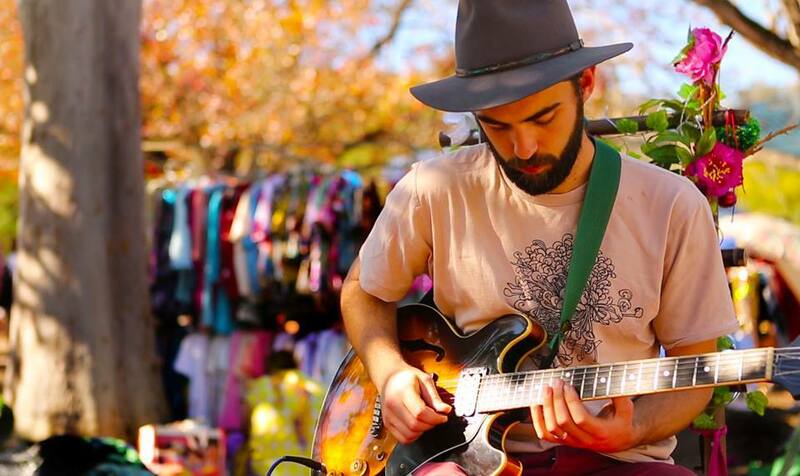 The performances at The Channon Market will showcase some of our regular and not so regular musicians, including some collaborative endeavours. We offer a good quality sound system and anyone is welcome to join us on the 4 th Sunday of each month excluding December and January and (for 2017 only) September. There is no need to book – just turn up with your favourite instrument and put your name on the blackboard. Three songs is the usual limit, but this can be extended on quiet days or by popular audience demand. Blakboi, aka Tom Avery is a genuine one man band. Using Guitar, Percussion, Keys and Didj, Blakboi creates unique covers of popular songs as well as his own original music. His relaxed vibe will put a smile on your face. Blakboi is a Northern Rivers favourite, playing regular gigs around the region, including The Boomerang Festival and many community events. 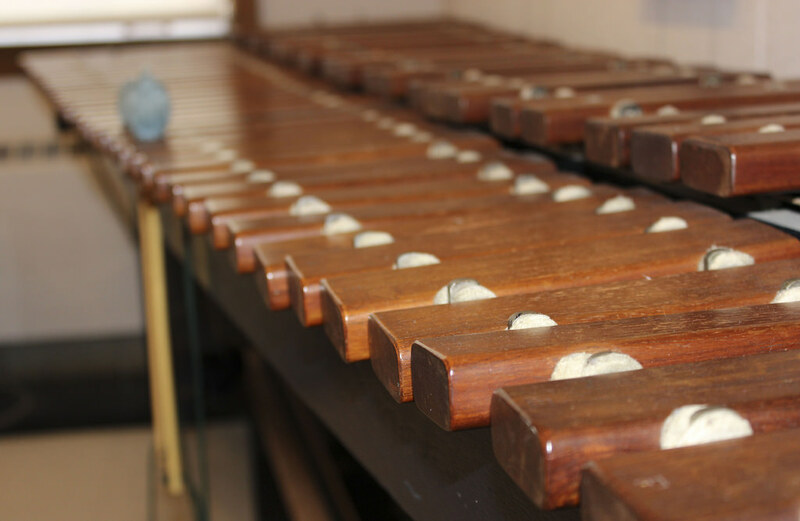 Dunoon Public School marimba troupe has played to enthusiastic crowds from around Australia. With a trip to the Sydney Opera House on the cards this year, the troupe welcomes the opportunity to polish their performance skills! Performing for short periods down in our ‘tiny top’ making sweet music with their wonderful marimba’s. Stroll past and see some of our regions youngest and talented performers. The markets are 42 years strong with a great emphasis on supporting local artisans and producers, community groups and individuals who raise awareness and showcase locals skills. Beyond these talents, we have repurposed clothing, unusual products and services, wellbeing stalls, delicious foods and beverages. Fresh produce, plants, seedlings and cut flowers adorn the precinct whilst street performers, buskers and live musicians entertain our senses. The markets are a pet and alcohol-free event, please help us by keeping them all at home. Nestled under shady trees, located In the hinterlands of the Northern Rivers the markets are a ‘must do’ when visiting the region, a great day out for all. 2nd Sunday of the month 9am-3pm. 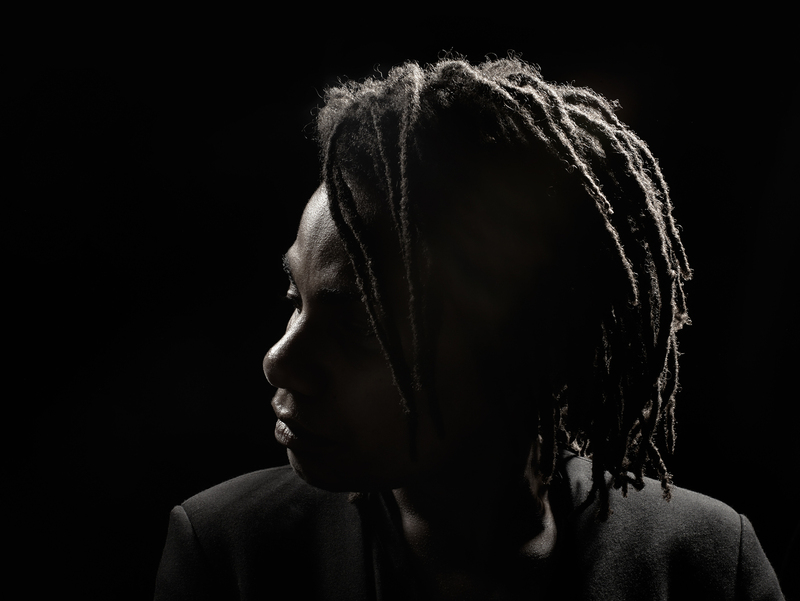 Kobya is a gifted performer singer song writer and versatile multi-instrumentalist. 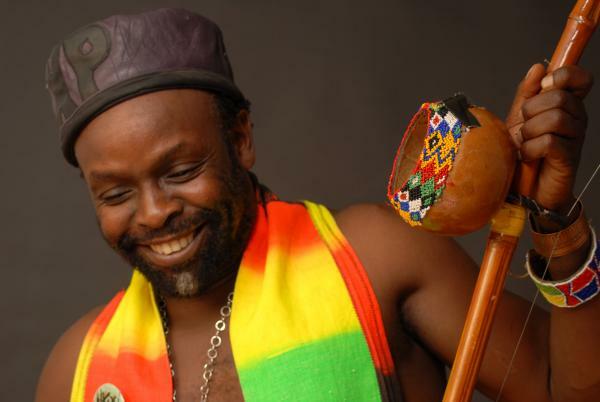 He mixes roots (Marrabenta Mozambique Popular dance Music) & reggae occasionally throwing in some lovers rock to create his own original blend. He tells his story with grace and ebullience, covering social and environmental issues, love, war and the despair of his fellow Mozambicans while celebrating life. Bo (Deadly) Kaan has been part of the Northcoast Music Scene for three decades now. Driving rhythms, grass roots eclectic soul and blues, thought provoking lyrics, a bit of sueng and a bit of hang and a few stories is what you can expect from this Dutch born one man band. Bo first sprung to notoriety with his first band “Timelords Inc.” in 1986 with their underground smash hit “Don’t mess with Joh.” Bo has released five solo albums and has been ignored by the main stream media due to the lyrically, politically and socially equitable nature of his product. The ideas, which are now becoming mainstream three decades later. Bo is an original and genuine working class hero and well worth a listen. He is also known well in the area as a quality film and stage actor with many credits to his name. Check him out on the busker’s stage today at The Channon Market or on youtube.